Need a smaller Pigeon Forge or Gatlinburg Cabin? We have you covered! We have partnered with a local company that is certain to have what you are looking for – on any budget. 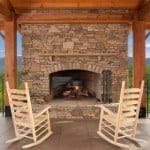 With cabins located in Pigeon Forge, Gatlinburg and Sevierville, they offer not only some of the best cabins in the area, but also excellent customer service.